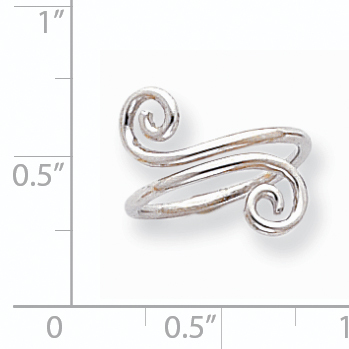 14k White Gold Swirl Toe Ring Approximate Metal Weight: 1.3 grams. Approximate Width: 1 mm. 14k White Gold Swirl Toe RingApproximate Metal Weight: 1.3 gramsApproximate Width: 1 mmGift Box included.Gift Box Included.